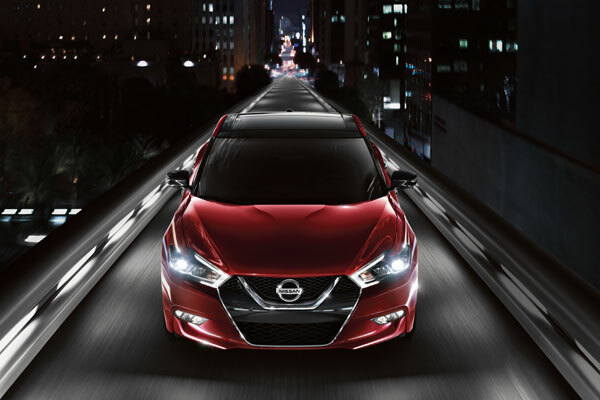 This past year, the Nissan Maxima bowed out of the 2015 lineup. Because of this, Maxima enthusiasts expected big things, and they were not disappointed. The completely redesigned certified pre-owned 2016 Nissan Maxima for sale in Niles, IL boasts a dramatic new look, a more powerful performance, and an upscale and luxurious interior. For a 5-passenger sedan, the Maxima is the way to go, and you’ll find it on our showroom floor here at Star Nissan. Automotive designers can take inspiration from anywhere, but the ones at Nissan looked to the US Navy’s Blue Angels® for design ideas. The roof is modeled after the canopy of a fighter jet, as the A-, B-, and C-pillars blend seamlessly into the glasswork, giving it the appearance that it is floating just over the cabin. The overall stance of the Maxima has been lowered to be more streamlined, and you’ll find chrome-tipped exhaust finishers at the rear for a bold and sporty look. You’ll light up I-90 once the sun sets with LED boomerang-shaped headlights, and whether you’re sitting on 18-inch or 19-inch aluminum alloy wheels, you’ll catch everyone’s eye while stuck in early-morning traffic. The jetfighter concept transcends under the hood as well, as the used 2016 Nissan Maxima for sale in Niles, IL, is powered by a 3.5L V6 engine. And while this engine was found in past models of the Maxima, it now produces 300 horsepower, which is 10 more than previously. It also generates 261 lb.-ft. of torque. This can be attributed to the fact that over 60 percent of the components found within this engine have been redesigned for the new model year. Better yet, there’s the re-engineered CVT providing vibrant shifting, a wider gear ratio, and an adaptive shift controller. This not only provides for a more connected drive, but greater efficiency, as the Maxima gets an EPA-estimated 22/30 MPG city/hwy. They don’t call it the cockpit for nothing – you’ll find modern fighter jet elements inside the 2016 Maxima as well. The Zero Gravity sport-styled front seats conform to your body for maximum comfort, and the ambient lighting casts a warm glow throughout your cabin. Feel the warm summer sun when you open the dual panel panoramic sunroof, and the climate controlled heated and cooled front seats are ready for the ever-changing Midwest weather. 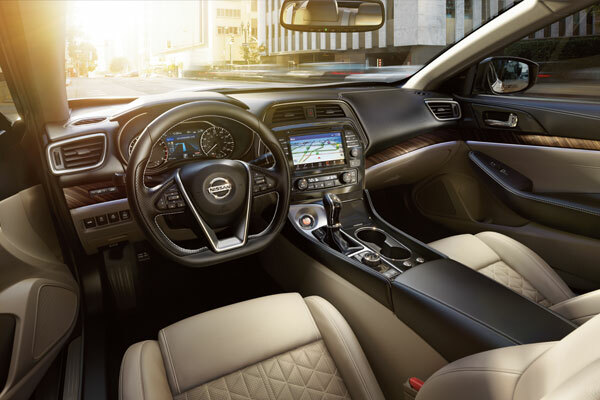 The Nissan Maxima holds nothing back, as the standard 8-inch touchscreen and the 7-inch Advanced Drive Assist Display show you everything at a quick glance. 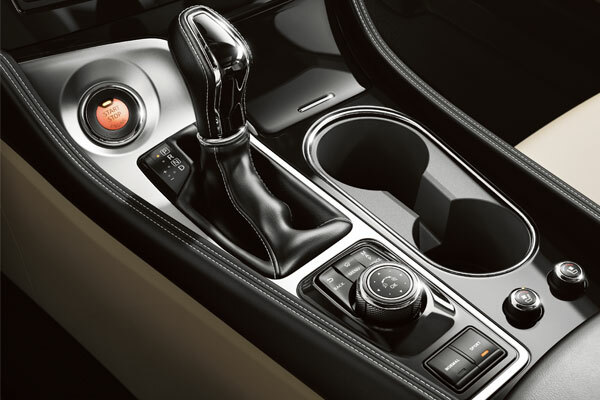 On the 8-inch touchscreen, you’ll find NissanConnectSM, the Bluetooth® hands-free phone system, turn-by-turn navigation, and the Bose® audio system – all standard. Also standard is the Display Commander, which you can move in all directions to scroll through your infotainment system, without having to look down or touch the screen. 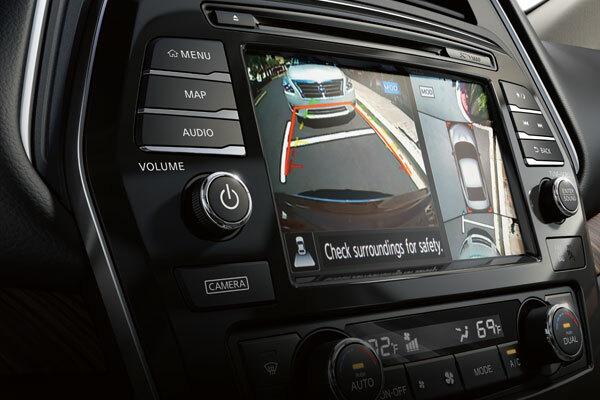 Such innovation will also have your back, as the Maxima is full of safety features. For instance, Predicative Forward Collision Warning monitors your speed and the distance to the vehicles in front of you. These sensors know if these vehicles unexpectedly slow down, and will alert you of a potential collision. Similarly, Forward Emergency Braking can engage the brakes for you if a collision is unavoidable, to reduce the severity of the impact, or avoid it all together. You can visit Star Nissan at 5757 W. Touhy Ave in Niles, IL to see the 2016 Nissan Maxima. You can contact us to schedule an appointment, or get directions below!